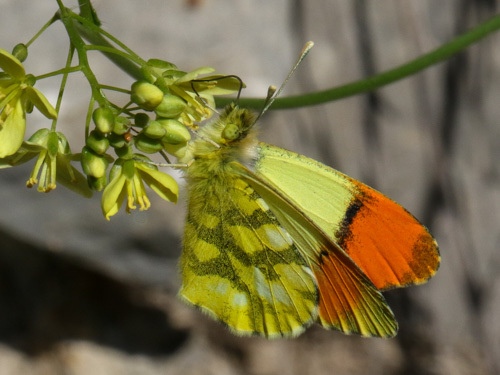 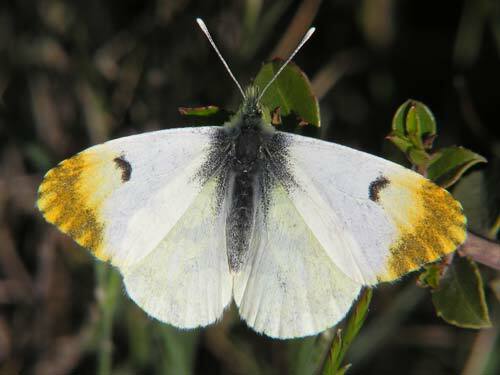 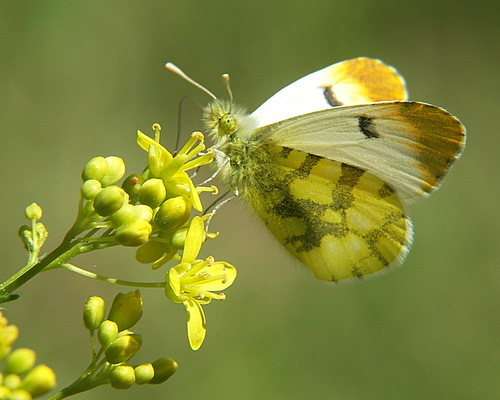 This was once considered a subspecies of the Moroccan orange tip, A. belia. 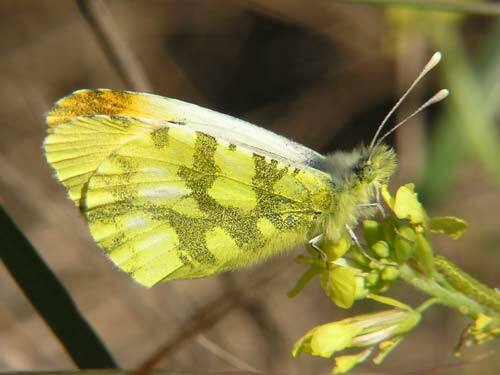 It is more heavily marked on the underside. 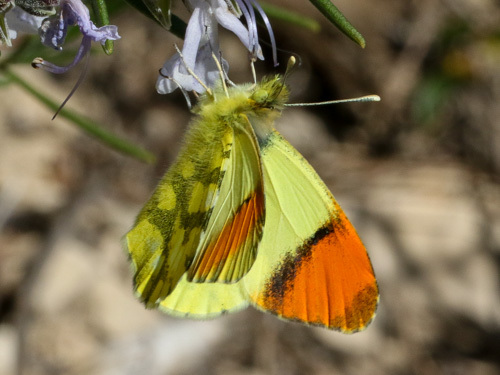 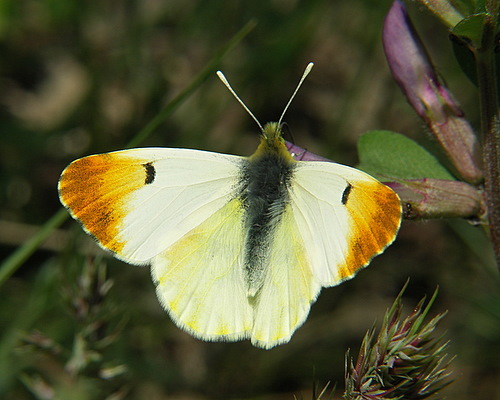 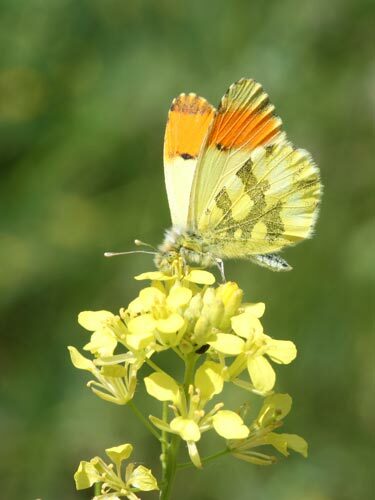 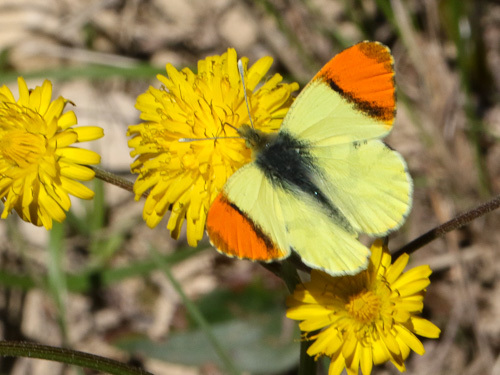 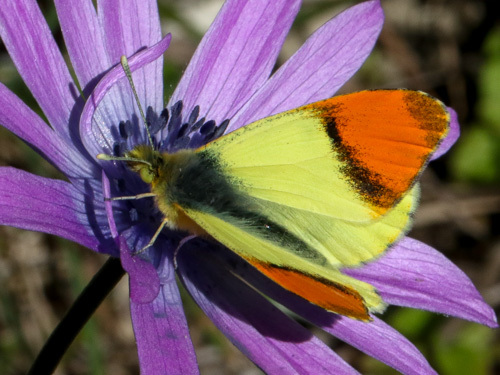 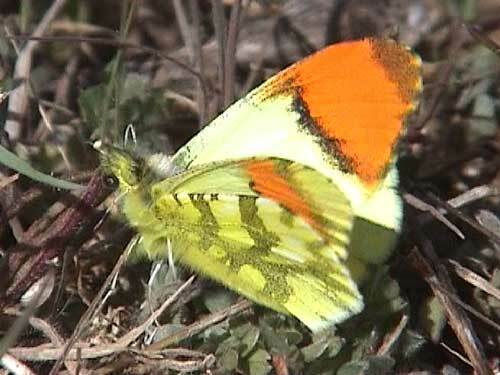 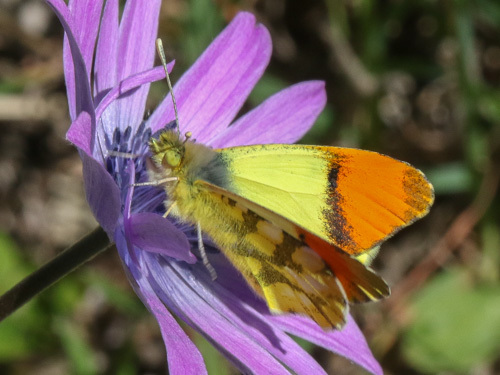 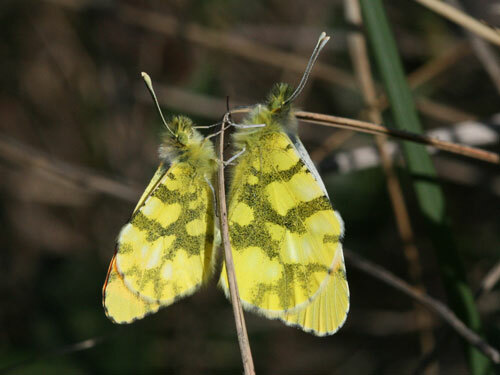 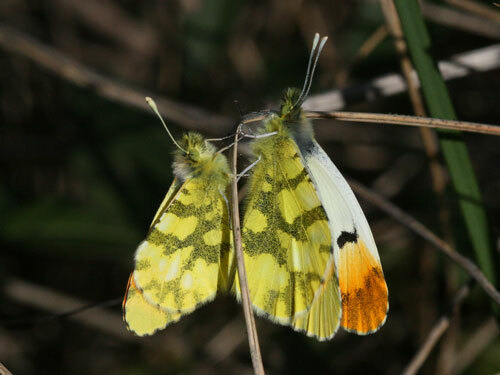 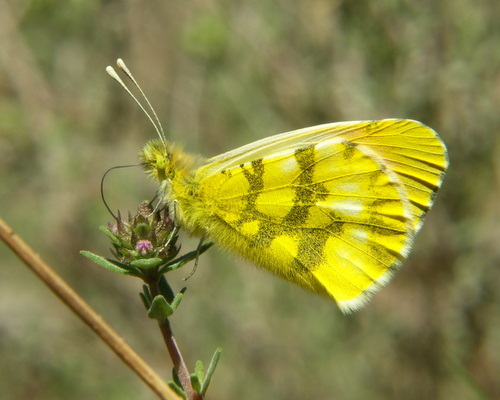 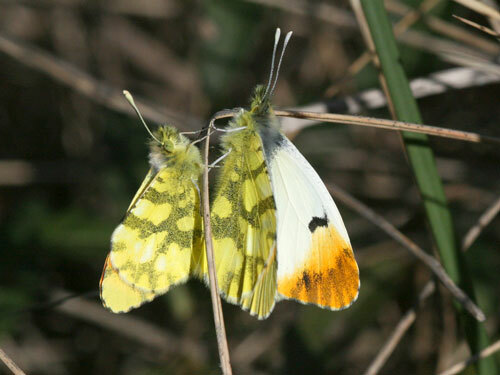 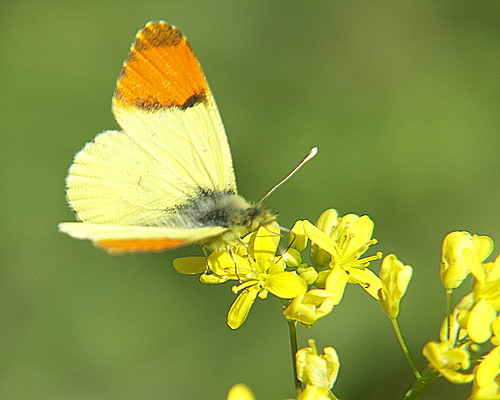 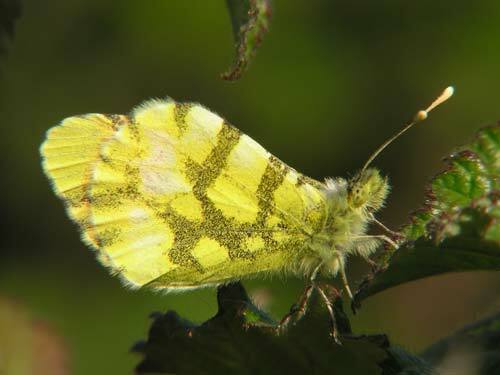 Identification & Similar species: No other yellow orange tips, Anthocharis, share the range. 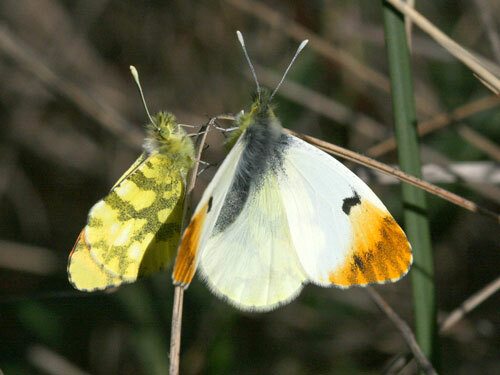 Distribution & Flight: Most of the Iberian peninsular, Mediterranean France. 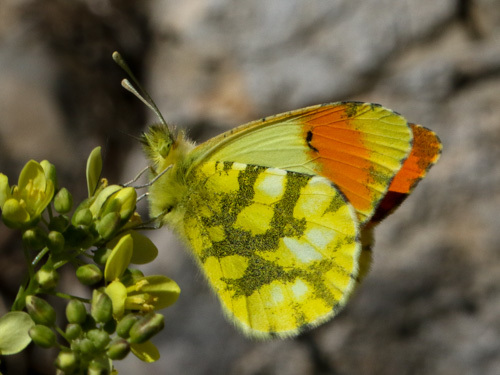 It is also found in two isolated areas, in central Italy and from Tessin, Switzerland where records are extremely rare and mostly over 100 years old. 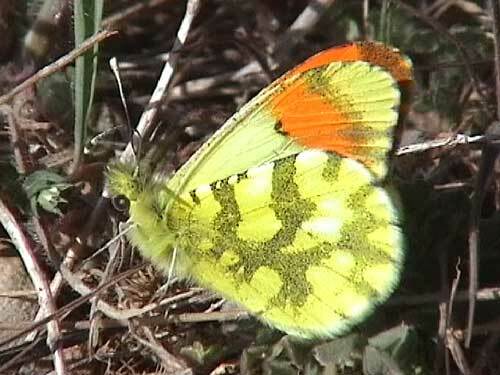 Flies in one brood from April. 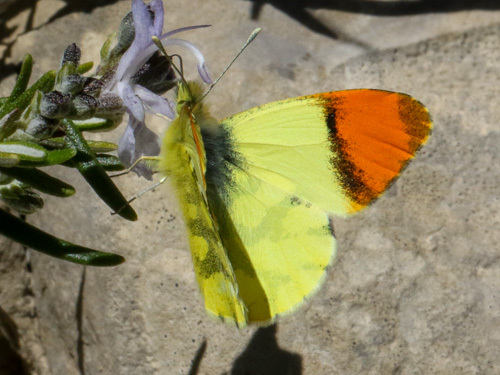 Usually over by end May, I have found it in mid July at high altitude in the French Pyrenees. 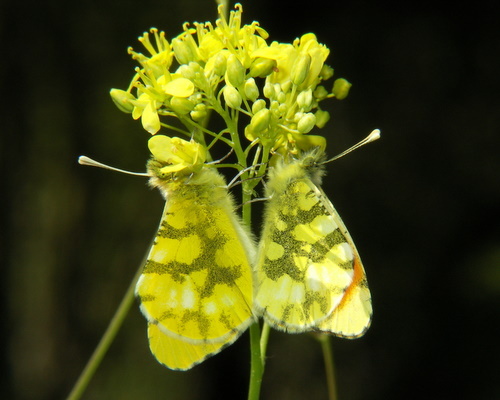 Habitat & Behaviour: Flowery meadows in woodland, scrub and cultivated areas. 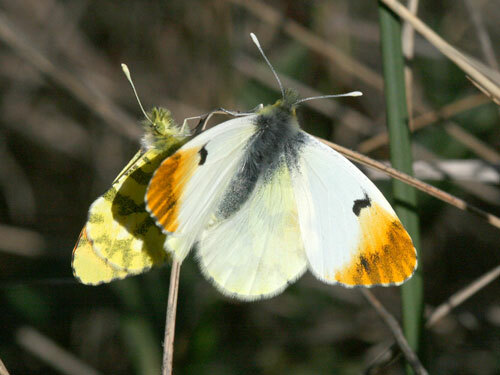 The female completely lacks the yellow ground colour of the male on the upperside.